There are a number of criteria that should be considered as part of the evaluation process but selecting a logistics service provider based on COST alone can be a recipe for disaster. Getting it wrong can be detrimental to your business – especially if you need to exit the relationship as a result. One of the most effective ways to ensure that you are making the right decision is to develop an evaluation matrix that can be used to subjectively compare each potential service provider. 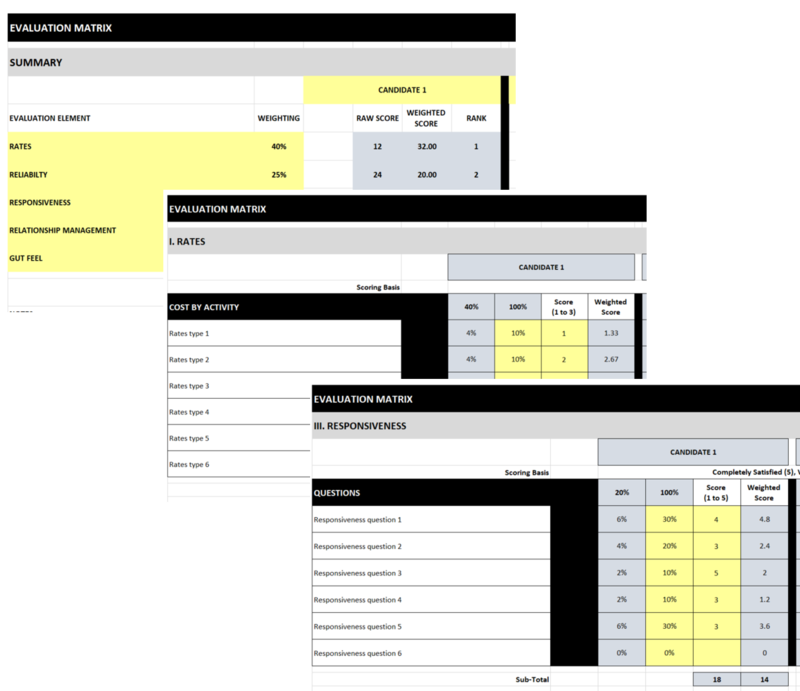 The 3plmanager.com evaluation matrix uses a series of questions to calculate a relative score based on both COST and other evaluation criteria such as RELIABILITY, RESPONSIVENESS, RELATIONSHIPS and GUT FEEL to determine which logistics service provider that is not only the most COST effective but more importantly the most suitable for your business. This 3plmanager.com evaluation matrix is an Excel spreadsheet that has been developed over the 20 plus years that I have been managing logistics service providers. The methodology and the tool have evolved as a result of it being used to evaluate and select countless logistics service providers that have delivered many millions of dollars of international freight forwarding, 3rd party logistics and domestic transportation services throughout the Asia Pacific region, North America and Europe.